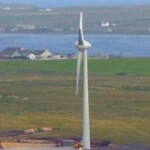 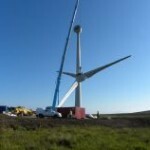 A Vacancy Exists with Hoy Energy Ltd for a Turbine Responder. 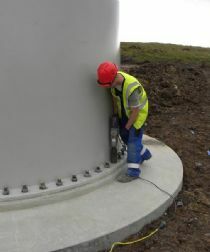 It is a permanent part-time post, and the sucessful candidate will work as part of a two person team. 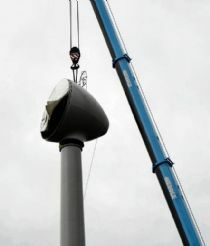 Our wind turbine now stands tall! 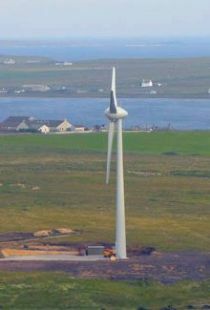 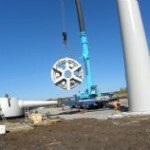 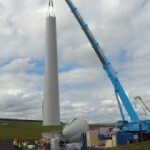 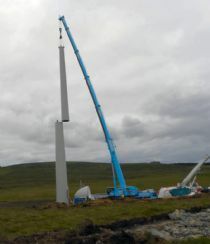 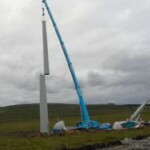 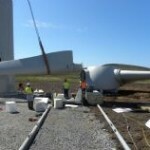 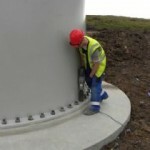 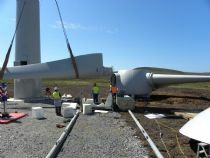 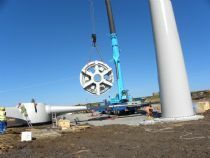 The various sections of the wind turbine have not only completed the journey from Lyness to Ore Brae but have been assembled too. 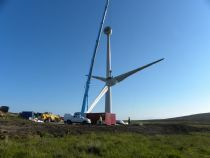 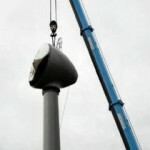 Here are some photographs showing the latest phase of the steps involved in making our community turbine a reality. 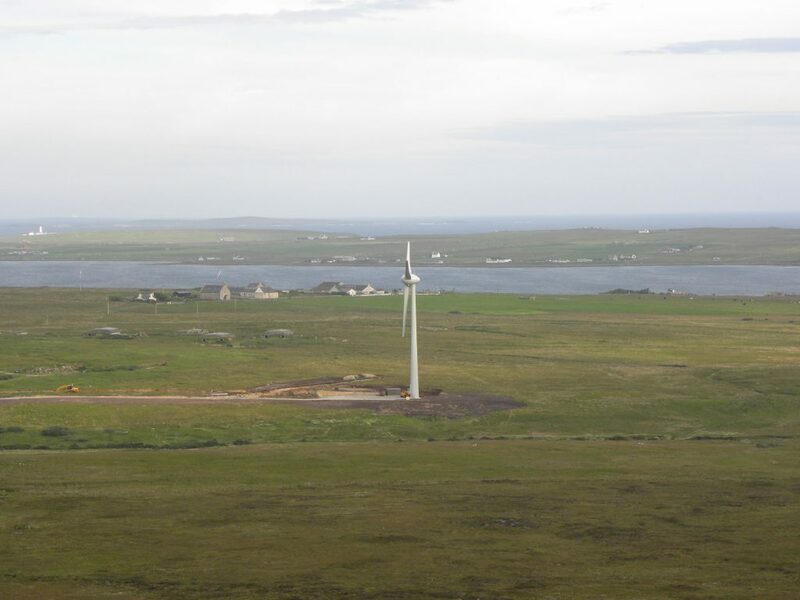 In order to take the left-hand turn from Lyness to Ore Brae required making a circular tour of the Hoy Hotel! 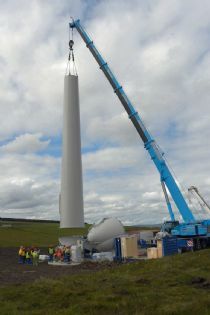 Once up the hill and at the site the sections had to be lifted off the trucks and then be lifted on top of each other and secured into position.